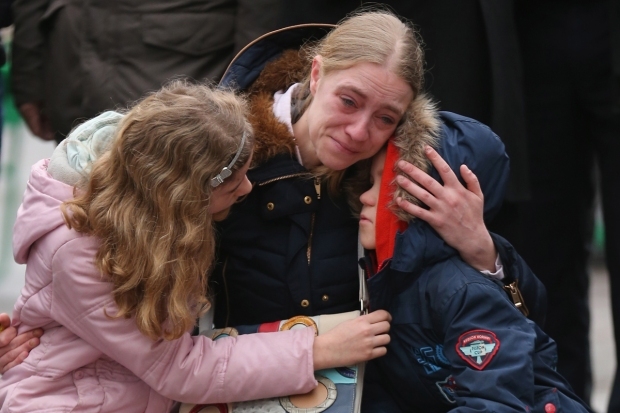 Travelers can expect increased security in public areas of airports after the deadly attack Tuesday in an airport departures hall in Brussels, an aviation security expert says. Airports and other high-profile locations, like mass transit systems, bridges and tunnels, were on high alert Tuesday. Parts of Denver International Airport were evacuated Tuesday, while a plane from Brussels to Florida was searched upon landing soon after the attacks. Airline passengers may soon see more officers and security measures in check-in and baggage claim areas, aviation security consultant and Metropolitan State University of Denver professor Jeffrey Price said. "I think you're going to see more law enforcement presence in the public areas," he said. "It's a visible deterrent to an attacker." 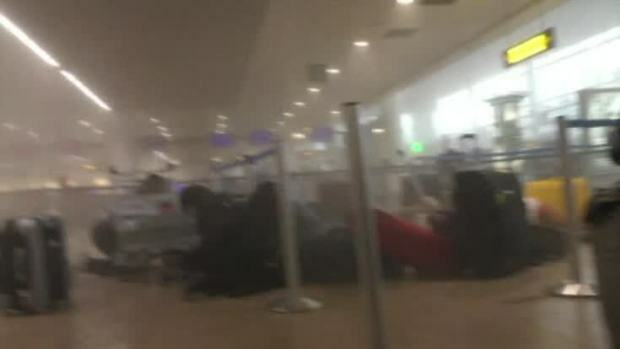 A witness filmed the immediate aftermath of a blast at the departure terminal at Brussels' Zavantem Airport. Three explosions hit Brussels on March 22, 2016. But it's not clear to other experts how additional security could prevent every terror attack. “We are in a war right now, and as long as we live in societies where there is free enterprise and the free movement of peoples, you cannot protect every gathering,” consultant Daniel E. Karson said. Two bombs full of nails exploded before 8 a.m. Tuesday in a public departures hall of the Brussels airport, officials said. Less than an hour later, another blast ripped through a subway car near the headquarters of the European Union in the morning rush hour. 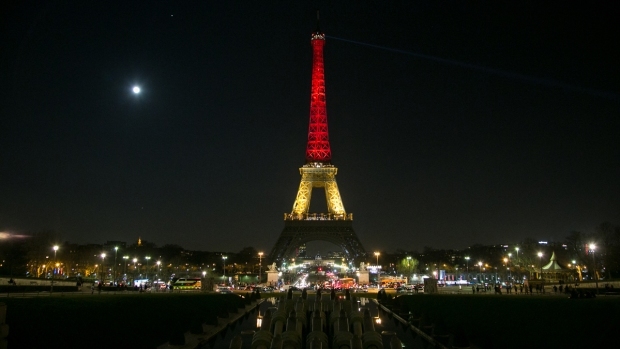 The attacks, for which ISIS claimed responsibility, killed at least 31 people. A manhunt for one of three suspects caught on surveillance video at the airport was still underway late Tuesday in Brussels. Price said some increased security measures would be visible, including officers in uniform and an uptick in random searches. Other measures, like the presence of undercover officers, would be invisible to most passengers. "These may not be things the average traveler could notice," said Price, who trains airport management workers in security and previously worked as a security director of Denver International Airport. The costs of security upgrades in airports' public areas would be covered by airport operators, said Price and a spokesman for the Airports Council International-North America, which represents the industry. The federal Transportation Security Administration controls security checkpoints but not the public areas, Price said. Any increase in security costs would not be passed on to passengers in the form of increased fees, ACI-NA spokesman Scott Elmore said. Price said he believes a boost in visible security at airports would be effective. "The majority [of attackers] don't want to be caught until they're successful," Price said. But Karson cautioned that attacks like the one in Brussels will continue to occur, even as terrorists' plans are being uncovered and stopped. Karson, a chairman of Kroll, an international security and risk management company based in New York, said terrorist threats in the U.S. are different from those possible in Europe. Within Europe, people can move freely across borders with little passport control and those who have been involved in terrorist organizations have been able to travel between Europe and the Middle East, he said. Karson noted that America is made safer by the "very big oceans" separating the country from much of the rest of the world. 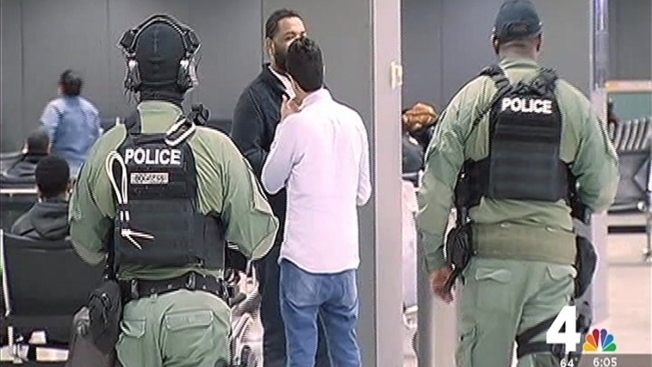 Border agents check passports and the incidents that have taken place in the U.S. aren't typically as organized as Tuesday's attack, instead "involving more or less lone wolves," he said. But that doesn't mean all security measures will be successful within American borders. Crowds will still likely have to form somewhere at airports, and it is difficult to protect people from determined terrorists when they form that kind of target, according to Karson and other experts. One consultant said it might not help for airports' secure borders to extend beyond the TSA's current line. It would be more effective to better train law enforcement officers and airport staff about interactions with passengers, said Higareda, who has spent nearly three decades advising airports on security. The technique is called "behavioral detection." "Are they walking together and then splitting up suddenly, going in different directions? Are they sweating? Are they nervous? Are they stammering, not able to answer questions?" Higareda said. Timothy Horner, a retired New York City police captain who is a managing director at Kroll, said attacks have been thwarted in the U.S. through a combination of infiltration and luck. Even with that, some plots succeed, including the Boston Marathon bombings in 2013, killing three when pressure cooker bombs exploded at the finish line, and the shootings in San Bernardino, California, where Rizwan Farook and his wife killed 14 last December. “The reason why we have a pretty good intelligence network here in the U.S. is because we have different levels of law enforcement and full cooperation between those law enforcement agencies both on the local, state and federal level, coordinating very closely with the federal intelligence agencies,” Horner said. In the meantime, passengers are advised to keep their eyes and ears open. Price said he expects travelers will be more vigilant about any potential threats they see in the weeks following the bomb blasts, but then will return to a lower level of awareness. "When we don't have an attack for a long time, we tend to go back to sleep and jump back into [looking at] our phones," he said. If you see something, say something, Price said. "Pay attention."